This branding project was a new coffee brand for one of our clients. It needed to stand out in a crowded market of cold brew coffee. From concept to first pour, this brand was built from the ground up. Introducing Nitro Cold Brew Coffee: Engineered for kicking back – from beach days with your bestie to bombing black diamonds – Nitro cold brew coffee loves a good time. 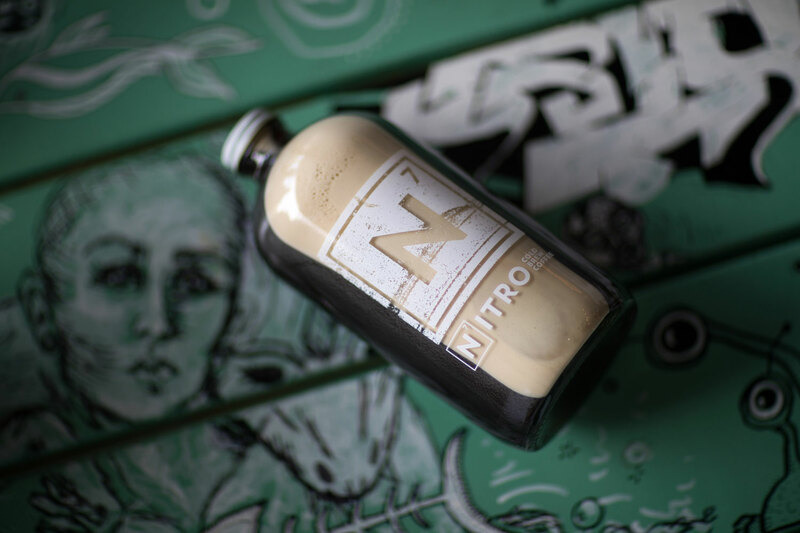 Cold brewed and steeped for twenty-four hours, our Nitro cold brew coffee is then infused with nitrogen for a rich, creamy taste. Fill up a growler, order at your favourite cafe or make it at home. The options are endless. It starts with the beans. Eight ounces of perfectly roasted beans, carefully sourced specifically for Nitro Cold brew coffee. The science of cold brew coffee. Services: Branding, Copy-writing, Packaging, Marketing, Web Design, Coordinate Photo-shoot, Art Direction.